Elections Canada has ruled the votes cast by University of Guelph students earlier this week are valid despite a challenge by the Conservatives. The controversy erupted after an incident at the university where students were lining up to cast special ballots. The Conservatives had a lawyer send a letter to Elections Canada complaining about the special voting on the southern Ontario university campus. Elections Canada issued a statement on Friday that said the special ballots were not pre-authorized but they will still be counted in the May 2 election. "All information at our disposal indicates that the votes were cast in a manner that respects the Canada Elections Act and are valid," the statement said. The statement said a "well-intentioned returning officer" instigated the special voting at the university. Elections Canada said special ballots are often used to help people vote in isolated areas or people who face other barriers, such as patients in hospitals. The Conservatives issued a statement on Friday afternoon, saying the party welcomed Election Canada's decision. The Conservative Party is being criticized over allegations a party member tried to grab a ballot box at the University of Guelph this week. 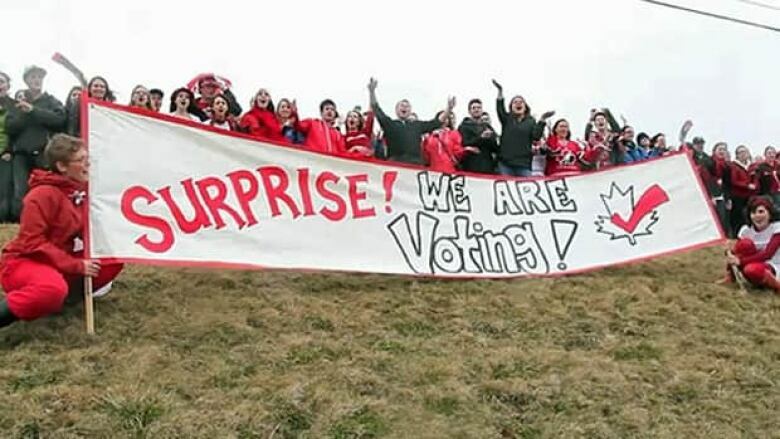 ((University of Guelph))"While the Elections Canada statement confirms that what happened in Guelph lacked proper authorization, we applaud the decision not to disenfranchise University of Guelph students because of errors by the local returning officer," the statement said. "These student voters should not suffer because of mistakes by the local election officials. At the same time, we are pleased that the rules for special ballotting have been clarified and reconfirmed. The same rules should apply everywhere and be applied consistently across the country." Asked about the matter Friday, Conservative Leader Stephen Harper said the party was concerned only about specific issues in the case. "We encourage Canadians of all regions, all walks of life from all backgrounds to participate in the election and vote for the candidate of their choice," Harper said. "In terms of the details of that specific case, our concern is simply that the rules for advance polling, that all the rules of the election, be respected. And that is our sole concern in this particular matter." A Conservative statement Friday said representatives of the Marty Burke’s campaign attended at a polling station set-up on April 13. The statement said the local campaign wasn't permitted to have an observer watch the voting. The Tories also denied an allegation raised by some witnesses that a party volunteer attempted to grab the ballot box in an attempt to halt the voting. "The Marty Burke campaign states that none of its workers or volunteers interfered with the process; in particular, none of its workers or volunteers touched a ballot box or ballot," the Conservative statement said. Bren Anstett, a University of Guelph student, wrote about her experience on her Facebook page. She said she was trying to vote when "a guy came up making a huge scene stating that this polling station was illegal and tried to grab for the ballot box." "I found this to be disruptive and disrespectful, as many students were in the line at the time to vote," Anstett said the posting on her Facebook page. "It was clearly a legal polling station, as there was Elections Canada, Special Ballot written on all of the documents present." The Liberals, however, went on the attack on Friday, attempting to tie in the fresh voting controversy in with the party’s decision to remove two young University of Western Ontario students from a party rally earlier in the campaign because one of the women had a photo of Liberal Leader Michael Ignatieff on her Facebook page. Ignatieff said political leaders need to encourage more young people to vote, and these actions discourage it. "This is part of a pattern, and Canadians need to know it’s worrying. I can’t believe it," Ignatieff said. "One in five of Canadians who turned 18 in 2008 bothered to vote at all. What kind of message does that conduct send to those young Canadians? 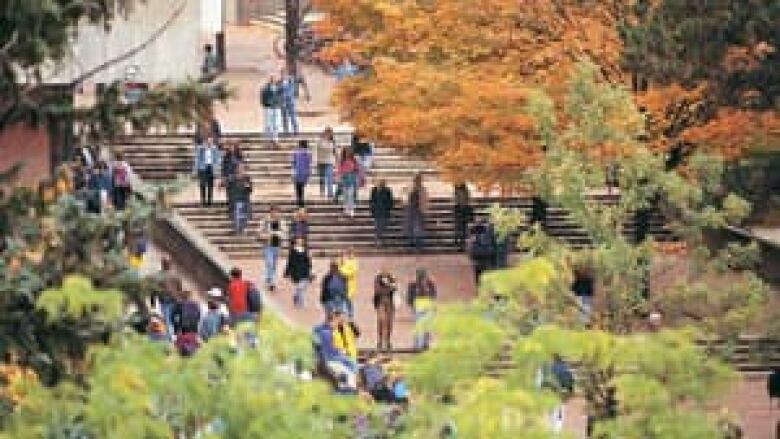 You got to check your Facebook page before you go to a political meeting, and when you do try to vote on a campus some political party comes in and tries to grab the ballot box?" NDP Leader Jack Layton said elections rules must be followed but politicians also have the responsibility to encourage young people to vote. "I want to see an investigation into this attempt to block students from casting their vote," Layton said. "This kind of intimidation and harassment is wrong. Of course everybody should follow the rules, but what are the Conservatives up to here?" The NDP leader said the Liberals attempted a similar tactic in 2008 in the Toronto riding of Trinity-Spadina. Demetria Jackson, the communications and corporate affairs commissioner at the Central Students Association, said the university wanted to offer students a chance to cast their ballots early before they left the city. "The reality is that students are taking exams right now and when exams are done, students are going to be going home," Jackson said. Jackson said she felt the voting booths were legal and that it was simply an attempt to help students get more engaged in the election. "I think it was completely legitimate. It is such a shame that the Conservatives are trying to shut down such a democratic process," Jackson said. "Students at Guelph said we want to vote and we want to get engaged."